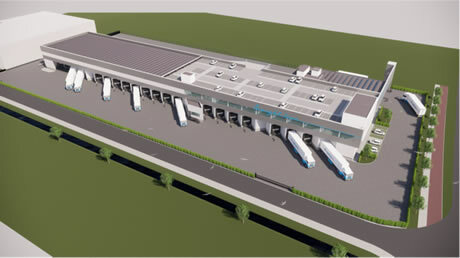 The construction of Freight Line, Europe's new business premises is set to start within six weeks. 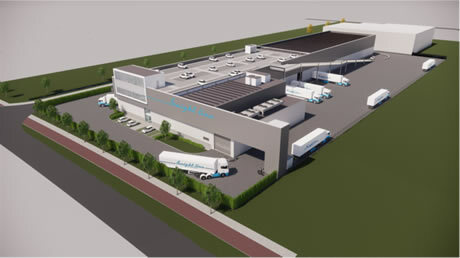 This Dutch logistics service provider's new building will be in the Honderdland business park in Maasdijk. Along the business park's central axis, there will be a state-of-the-art, multi-layered Crossdock Centre. It will have, among other things, 4,000 m2 of refrigerated space. This area will be further divided into zones, additional cooling cells, and 1,000 m2 of office space. If everything goes to plan, this new building will become operational at the beginning of 2020. Freight Line Europe opened its doors for business twelve years ago. Since then, this company has offered its clients efficient, conditioned transport to and from Great Britain. They also provide conditioned storage and cross-docking. The new location is focused on efficiency. It is taken a step further with, in particular, more space. This extra room will be used for all the processes. There will also be an optimal logistical route in the building itself as well as on the site. A new feature at Freight Line Europe is their own washing lane for their fleet. There will also be roof parking for cars. Freight Line Europe chose Honderdland for its strategic location and good access. Among other advantages, this business park is ideally located with regard to ship routes to the UK. It is also close to the A20. Freight Line Europe's current building will be sold.